As one of the pillars of British industry, agriculture and farming is a 365 day a year vocation – no easy feat by any means. Our farmers and farm managers have livestock to feed and tend to, crops to plant, fertilise and harvest, calves and sheep to birth and sell, cows to milk, eggs to collect and so on. Farming is so much more than a 9-5 job, and is one that is drastically undervalued. There are so many varying angles for them to control and manage including a lot of farming equipment and the food and bulk liquid storage required. 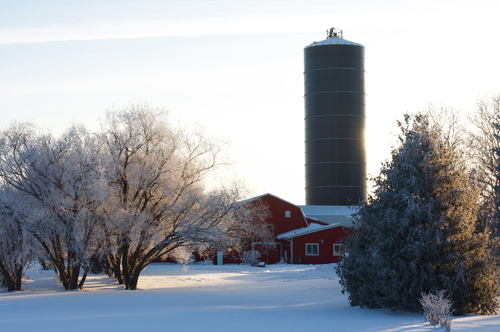 Obviously, farming is a year round commitment that requires a lot of hard work, and that includes the winter period. When you have livestock to feed and crops to tend, festivities and time to relax are not a priority. In December, farmers need to plough and prepare fields, spray their cereal crops and feed livestock. In January, there is a lot of sheep prep-work to undertake ready for lambing season, dry and firm fields need a layer of slurry applied in between general farm maintenance and upkeep. In February, there is more slurry spreading, and sheep work to be done before a final rush of lambing and calving in March. Additionally, March see’s farmers top dressing their cereals and fertilising and spraying their crops. As you can imagine, the farming industry requires a huge need of bulk liquid storage and feed storage just to stay on top of supplies and monthly duties. At Tuffa Tanks, we have a range of tanks available that are suitable for farming needs, including water storage tanks, molasses storage, and food storage tanks to keep feed dry and secure. Bulk liquid storage of fertiliser, slurry, and other crop sprays are vital to the agricultural and farming world. If you’re looking for tanks that are suitable for use on a farm, or indeed searching for tanks that can be used to store large volumes of liquid on a non-commercial level, then you have come to the right place. All of our tanks are high quality and when you order from Tuffa Tanks, you know your business is in safe hands. Please contact us should you require any further information.